As a special request from my niece, I made a HK Amigurumi. She is an avid HK fan and collector. Since that first piece, I am addicted. 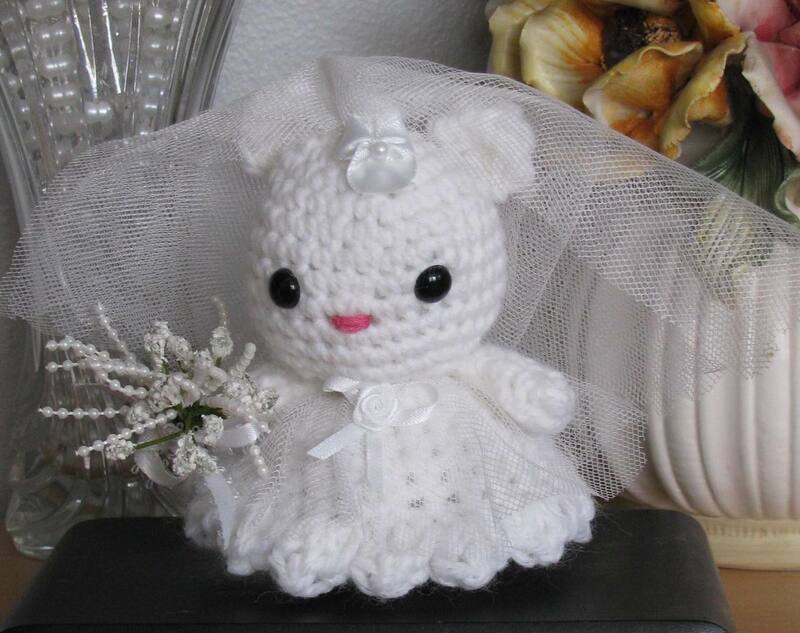 Here is my recent completed project, an HK Bride, with her little Bridal bouquet. She is gorgeous! Now for the groom?